Screenshot of Doves' Facebook post before it was deleted. 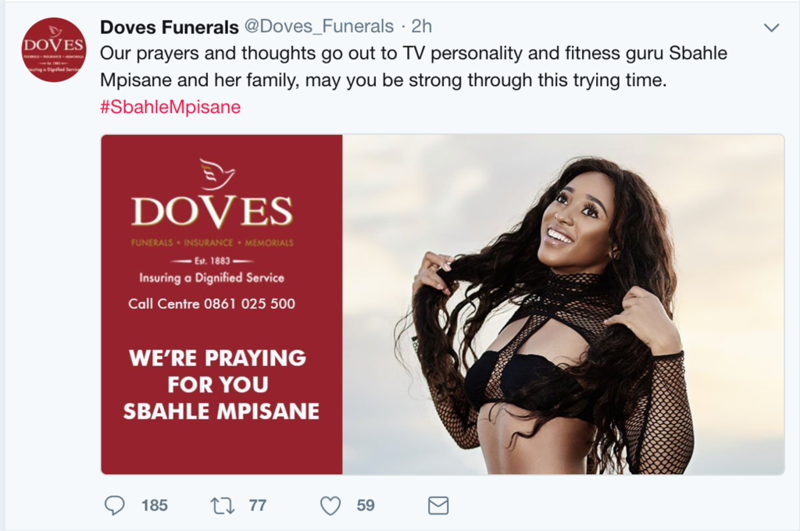 Funeral group Doves deleted two social media posts that said it was praying for the popular Sbahle Mpisana three hours after posting. 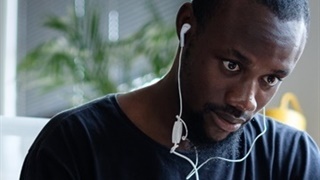 The posts featured Doves' slogan “insuring a dignified service” next to a message of condolence to Mpisana and her family – who is in critical condition in hospital. Social media users called Dove "insensitive" and "problematic". 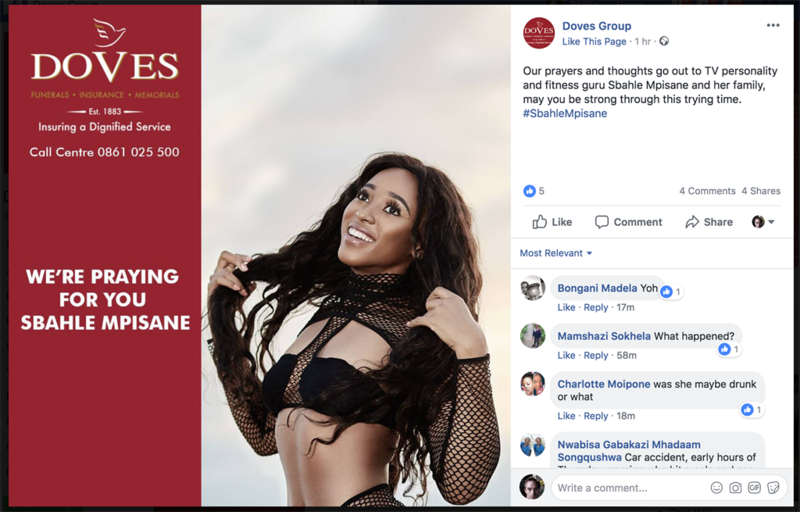 Funeral insurance group Doves deleted two social media posts where it said it was “praying for” fitness influencer Sbahle Mpisane – who is in a critical condition after a vehicle accident in Durban – three hours after publishing the posts. Doves' posts on both its Twitter and Facebook pages read: “Our prayers and thoughts go out to TV personality and fitness guru Sbahle Mpisana and her family. May you be strong during this trying time." Screenshot of Doves' Twitter post before it was deleted. Attached was a photo of a smiling Mpisana dressed in black looking towards the sky, with the caption “we are praying for you Sbahle Mpisana”. Doves logo was prominently displayed on the tweet with the slogan “insuring a dignified service”. The tweet was posted shortly after 15:00 and had over 150 response before it was deleted. 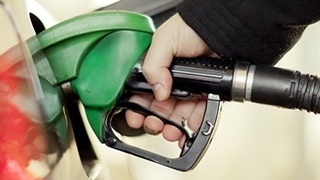 The posts sparked widespread social outage, calling the company “problematic” and “insensitive”. Doves could not be reached for comment.